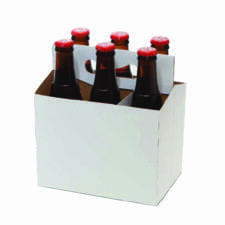 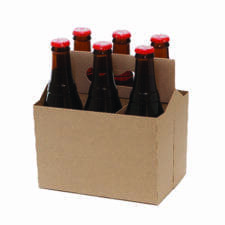 These generic and moisture resistant cardboard bottle carriers will fit many different sized bottles for beer, vinegar, wine, soda, you name it! 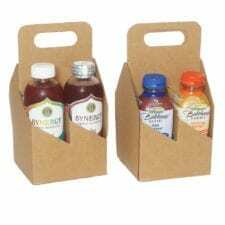 Easily provide a carrier for customers to take out of the store. 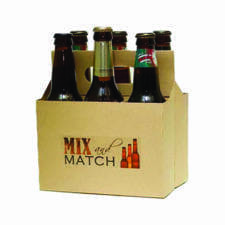 As an additional marketing tool for you to use, Pak-it Products has released a Mix & Match Label for the cardboard bottle carriers. 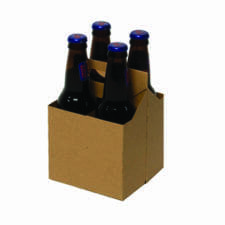 This handy-dandy sticker is a huge promotional opportunity. 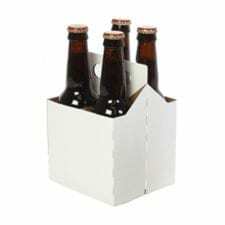 If you have a variety of craft beers available all in one area, use our label and cardboard bottle carriers to inspire your customers to design their own 4 pack or 6 pack. 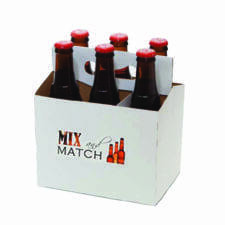 Your customers will LOVE the idea of being able to make their own Variety Pack and taste-test an assortment of flavors without having to commit to only one brand. 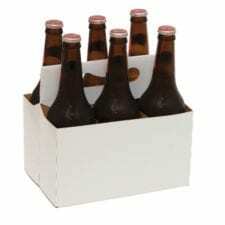 The goal here is to give your customer a chance to experiment in the world of ever changing craft beers and to keep them coming back to your store. 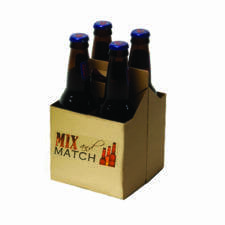 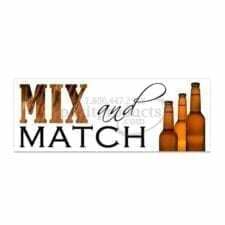 Our second suggestion is to use the Mix & Match Labels to move “extra” beer to help even out your inventory. 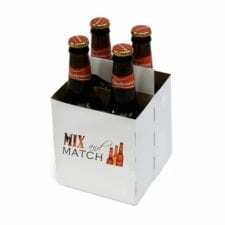 You can put together your own four packs and six packs by mixing popular beers with less popular ones. 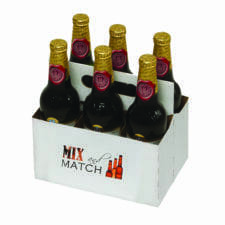 Sell the newly designed packs as in-store promotions and run them as weekly sales.